Fourth in a series focusing on the organization of state government. Click here for DORA – Part 1, Secretary of State – Part 2, and Education – Part 3. 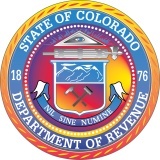 The Colorado Department of Revenue (DOR) is among those agencies that have responsibilities for a wide-ranging number of programs. While it’s not surprising that they are in charge of collecting taxes, they also have several less-obvious areas of expertise, from motor vehicles and driver’s licenses to liquor regulation and the state lottery. DOR also has the authority to regulate medical marijuana and will take over a similar task for retail marijuana when its sale and use becomes legal in 2014. The DOR’s Division of Taxation is responsible for collecting income taxes from both individuals and businesses. It also administers the wage-withholding program for Colorado employers, through which a portion of employees’ wages are submitted directly to the DOR. DOR also collects sales and use taxes from businesses and consumers. In its administration of taxation, DOR also works with other state agencies when necessary to intercept monies from a tax refund. These funds are then diverted to cover child support payments or court-ordered restitution, for example. DOR does not house the Division of Property Taxation, which is instead under the Department of Local Affairs. The DOR’s Division of Motor Vehicles has two primary focuses. The first is the registration and titling of cars and trucks in the state. DOR administers state law with regards to titling and registration, though the actual day-to-day processing of customer requests is done by county motor vehicle offices staffed by county personnel. These local offices are where vehicle owners can acquire their paper vehicle titles as well as license plates. Inventories of license plates, including the many specialty plates, are kept at these local offices. The other motor vehicle-related responsibility that DOR has concerns driver’s licenses. These are issued by local driver’s license offices operated by DOR. Local offices test drivers though not at all locations issue licenses and identification cards, and provide copies of a customer’s driving record. DOR also deals with suspensions and revocations of driving privileges and with the reinstatement of these privileges. In addition, all driver’s license offices provide voter registration services. Auto industry: The Auto Industry Division regulates car and truck sales through the Motor Vehicle Dealers Board. The division is also responsible for licensing vehicle dealers and salespeople. Gaming: The Division of Gaming is responsible for overseeing limited gaming and has offices in Golden, Central City/Blackhawk, and Cripple Creek. Liquor and tobacco: Liquor law enforcement includes both criminal and administrative sanctions. Federal law requires each state to have a tobacco enforcement program and a designated enforcement agency responsible for monitoring tobacco sales. Racing: The Colorado Racing Commission governs greyhound and horse racing, including the issuance of racing licenses and the rules of pari-mutuel wagering. Marijuana: The Marijuana Enforcement Division has regulated medical marijuana for several years and will begin regulation of the retail marijuana industry starting in 2014. The Colorado Lottery Commission has overseen the operation of the Colorado lottery since 1983. The lottery began with a single scratch game and has expanded to include a host of other games including the multi-state Powerball drawing. Proceeds from the lottery are used to preserve and support parks, recreation, open space, and for conservation education, as well as grants for public school construction. In fiscal year 2012, lottery sales topped $545 million, which resulted in proceeds of $123 million going to the lottery’s beneficiaries.